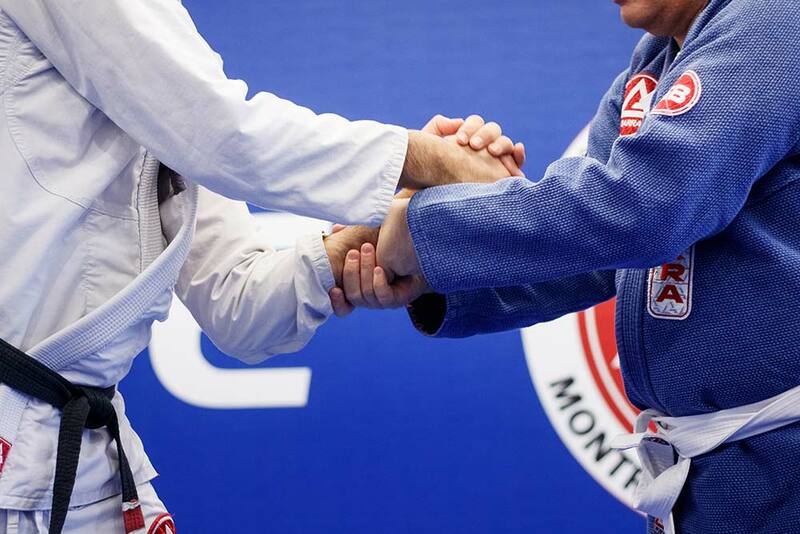 Gracie Barra Montreal Jiu Jitsu is the Headquarters of the Gracie Barra Organization in Quebec, and the premiere destination for Martial Arts in the Greater Montreal Area; located at 3975 Notre Dame St. West in St-Henri – Montreal. With morning, afternoon, evening and weekend classes there’s something to fit even the busiest schedules. Our adult programs are broken down into Three Levels: Fundamentals, Advanced and Black Belt. The classes are suitable for men and women of all ages. We have the most structured and effective Brazilian Jiu Jitsu Curriculum in the world with over 800 academies across the globe practicing the same techniques at the same time! These programs are available to all ages (15+) and skill levels. For those who want to push themselves to compete we also have the best BJJ competition team in Montreal! 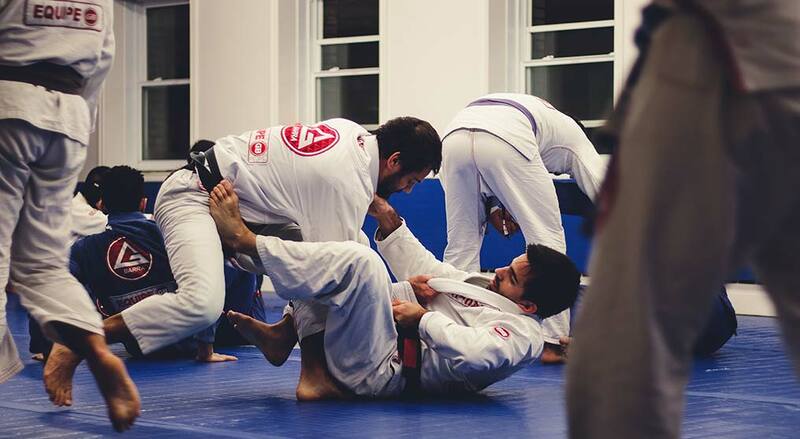 At Gracie Barra BJJ Montreal there’s truly something for everyone. Fundamentals Program: What are the principal qualities of a great jiu jitsu fighter? What does it take for an ordinary person to realize to his or her own potential? The Gracie Barra Fundamentals Program teaches these basic principles of effective fighting to individuals like you. Its structure condenses an immense diversity of Brazilian Jiu-Jitsu techniques into core fundamental moves combined intelligently and safely in order to optimize your learning. 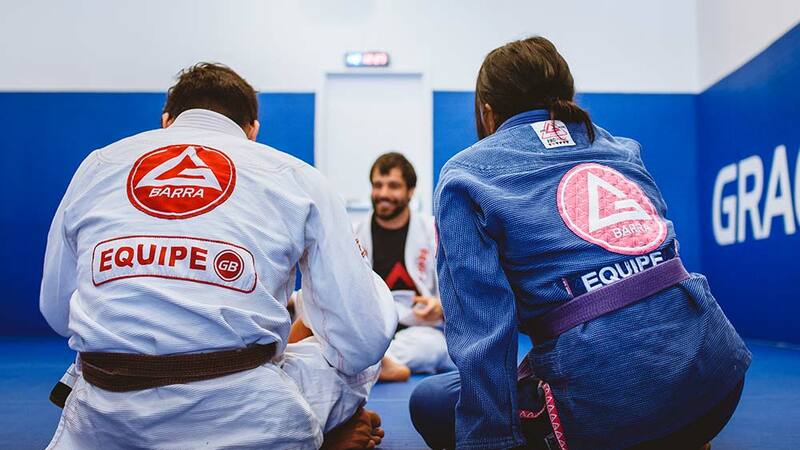 The Gracie Barra BJJ Program Structure defines three main stages of development for students: the Fundamentals Program, the Advanced Program and the Black Belt Program. These stages indicate different maturity levels and students upgrade from one to the other in their own natural pace. While the Fundamentals Program focuses on the building blocks and basic principles of Brazilian Jiu-Jitsu, the Advanced Program is built on high-level BJJ techniques and drills that start shaping the students game flow through the development of reflexes, speed and reaction time as well as transitions between one technique and another. After a few months in the GB Advanced Program students typically experience a deeper involvement in our philosophy, a stronger bond with training partners as well as more discipline and commitment to healthy habits that keep them in good shape. Advanced Program classes are based on a defined class structure and curriculum that take a broad and open-minded approach to your training, incorporating techniques from different grappling styles like wrestling, judo, sambo, and, of course, Gracie Barra Brazilian Jiu-Jitsu. Black Belt Program: Can someone master Brazilian Jiu-Jitsu? Is there an end to the Brazilian Jiu Jitsu journey? The Gracie Barra Black Belt Program is the last stage in GB’s adult program structure. While it does represent the student’s arrival at the ultimate level of BJJ training in our school, it also represents a new beginning. The goal of this program is to further develop the student’s BJJ game flow by exposing him or her to cutting edge Jiu-Jitsu techniques and their variations. The program’s dynamic curriculum and classes, followed by long live training sessions, build a challenging yet safe environment for students to progress from their blue to black belts. It is in the Black Belt BJJ Program that most students truly grasp what they’ve been told since being white belts: Jiu-Jitsu is an endless journey of daily accomplishments that always leads to a new challenge. The same old arm-bars, triangle chokes, fireman carries, kimuras, sweeps, guard passes and single leg take downs gain new meaning as their BJJ game flow is defined. Gracie Barra students enrolled in the Black Belt Program are role models at our schools. The responsibility of sharing GB techniques and Jiu Jitsu training philosophy with newer students is taken seriously. They play a key role in maintaining a safe, friendly and progress-oriented environment at our school.